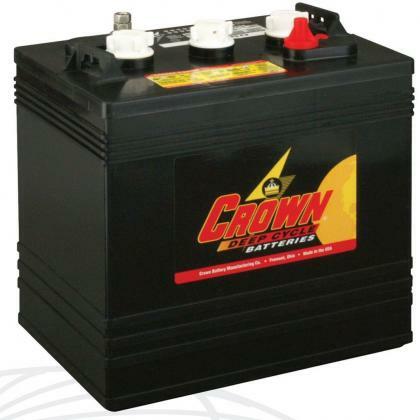 Crown Supreme CR-220 6V 220Ah Deep cycle battery. Made in USA. Originally designed for use in Golf Carts where a long service life over countless charge and discharge cycles is required, the Crown CR..
Crown Supreme CR-235 (CR-225) 6V 235Ah Deep cycle battery. 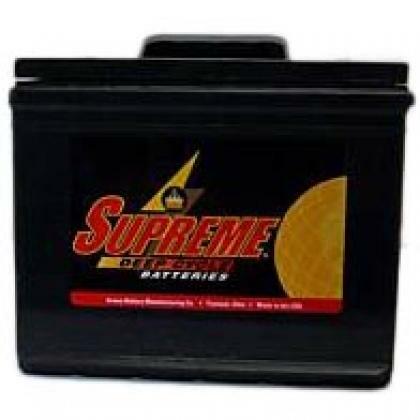 Made in USA.Originally designed for use in Golf Carts where a long service life over countless charge and discharge cycles is required, ..
Crown Supreme CR-330 6V 330Ah Deep cycle battery. Made in USA.Originally designed for use in Golf Carts where a long service life over countless charge and discharge cycles is required, the Crown CR33.. Sorry, we are no longer carry this battery. 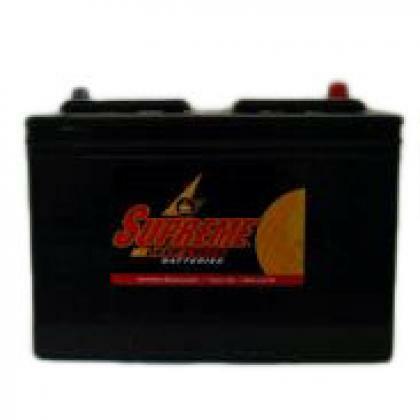 Please check out the replacement battery Crown CR-260 Supreme Model: Supreme CR-245 (Trojan T145 replacement) Manufacturer: ..
Crown Supreme CR-260 6V 260Ah Deep cycle battery. Made in USA. 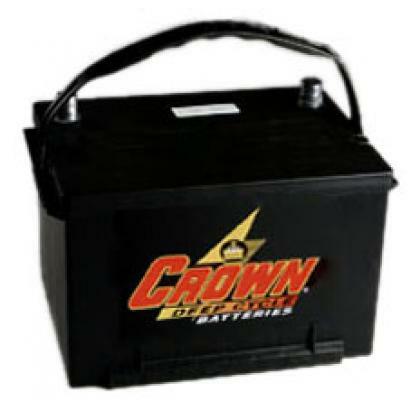 Originally designed for use in Golf Carts where a long service life over countless charge and discharge cycles is required, the Crown CR..
Crown Supreme CR-275 6V 275Ah Deep cycle battery. Made in USA. Originally designed for use in Golf Carts where a long service life over countless charge and discharge cycles is required, the Crown CR.. Sorry, we are no longer carry this battery. 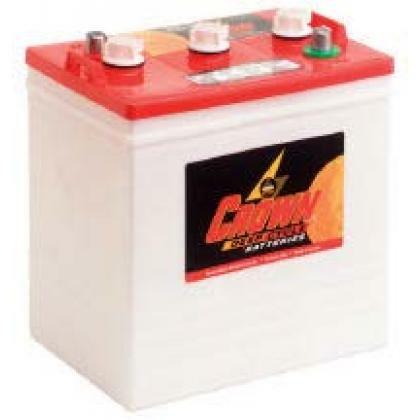 Please check out the replacement battery Crown CR-430 Supreme Model: Supreme CR-395 Manufacturer: Crown Battery ..
Crown GC-12V,12V,150Ah, Flooded Deep Cycle BatterySuitable for the solar power system, golf cart, electric vehicles, and floor machines Model: Supreme GC-12V (Equivalent to Trojan T12.. 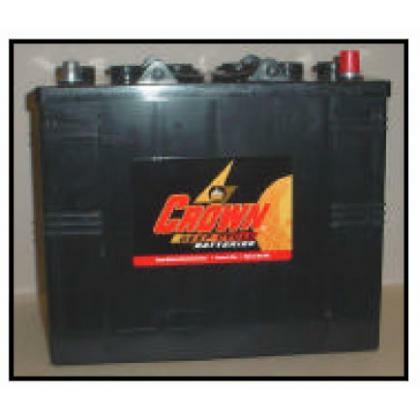 Battery Type: 58R-600 Manufacturer: Crown Battery VOLT: 12v CAPACITY: 600CCA (80RC) LENGTH: 236 mm WIDTH: 184 mm ..
Model: Supreme 24F-675 Manufacturer: Crown Battery VOLT: 12.0v CCA: 675CCA, 105RC LENGTH: 260mm WIDTH: 171mm ..
Model: Supreme 26/R-500 Manufacturer: Crown Battery VOLT: 12.0v CCA: 500CCA, 65RC LENGTH: 210mm WIDTH: 173mm ..
Model: Supreme 27F-800 Manufacturer: Crown Battery VOLT: 12.0v CCA: 800CCA, 125RC LENGTH: 305mm WIDTH: 168mm ..